Although Microsoft has integrated update services included in its operating systems and software suites, a lot of people have it disabled and/or don't have a permanent internet connection. 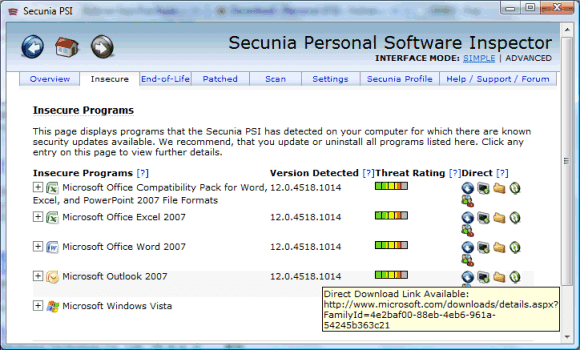 This small Secunia Personal Software Inspector program is a valuable tool in finding critical software problems that can usually be updated with a single mouse click. I'm not a big fan of this kind of software inspection programs, but coming from Secunia I'm willing to give it a shot..